This coming Saturday, CTANZ member Maureen Lander has a new show opening at the Dowse Art Museum in Lower Hutt. Entitled Flat-Pack Whakapapa, Maureen’s exhibition comprises three installations that explore the connections between whakapapa and raranga (Māori weaving). 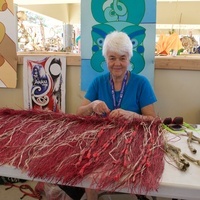 Between 11am and 2pm on Saturday 15 July members of the public can join Maureen and Whare Rokiroki, Māori Women’s Refuge/Wellington Women’s Refuge in a weave jam. In doing so you will be contributing to One Million Stars to End Violence, ‘a peaceful global weaving project that that encourages people to be the light and kindness they want to see in the world’. Project creator and Queensland-based artist Maryann Talia Pau collaborated with the Queensland Government last year in an effort to engage communities across the world to help weave one million stars for an installation during the Gold Coast 2018 Commonwealth Games as part of the arts and cultural program. Ms Talia Pau said it was great to see so many weaving communities getting together to weave a little extra light and hope in the world. 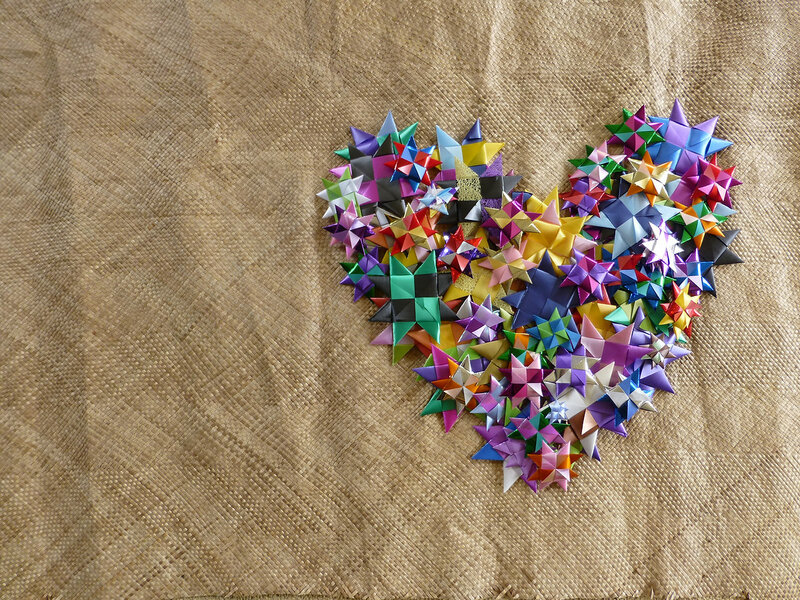 ‘‘Each woven star represents light, hope, courage and solidarity to end all forms of violence in our world,’’ Ms Talia Pau. ‘‘The installation will be a collective statement against ending all forms of violence and also support the Commonwealth Games Federation’s vision of a peaceful, sustainable and prosperous global community. Maureen Lander, Flatpack Whakapapa runs at the Dowse from 15 July to 5 November. This entry was posted in Artists, Exhibitions, Favourite things, International, Marlborough, Media, Membership. Bookmark the permalink.